This herb does double duty. Allowing stinging nettle oil to sit in your hair overnight can help combat hair loss and also give your curls a boost in the growth department. The nutrients help regenerate the hair and prevent the overproduction of DHT, a hormone that contribute to hair loss. Mix Nettle leaves with apple cider vinegar and boil with water . Let sit overnight in the fridge. Then add a few drops of essential oils of thyme and lemon. 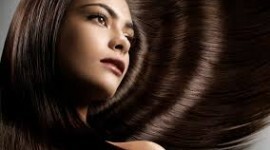 Apply on your scalp and let stand 30 minutes, then wash with shampoo. This mixture can be stored for 2 weeks in the fridge and be used again ! You can also purchase this herb in oil form and leave it on overnight or make a tea and use it as a rinse.